Sports build good habits, confidence, and discipline. They make players into community leaders and teach them how to strive for a goal, handle mistakes, and cherish growth opportunities. Similarly here the best sports watches for men and women play an important role in sports mode. Accessorizing yourself is the best way to make yourself presentable in front of anyone, anytime. We all love to keep ourselves looking sleek and fine. And as much as the clothing and your personality play a crucial role in that, we do understand your need for accessorizing and keeping yourself maintained to the highest standard you can! Watches have their own occasions where they can be worn however it is sports watches or digital watches. Whether it’s from your 9-5 working hours, or the time when it’s the hour for you to get fit and hit the gym, or the dinner that you planned to have with your friends later in the night, every phase of your life can be bagged by an own watch and turn the tables on your look! And how we’d love to give you a list of the best sports watches that we find the best for your favorite time of the day (pun intended), we’d cover in this article about some best Sports Watches for men and women or fitness watch that can be worn whether you’re hitting the gym or going for a run in the park or even going for your regular sports practice! Garmin Fenix 5X is the same size as Garmin Fenix 3, comfortable and quite bulky on your wrist. Garmin Fenix 5 series are Bluetooth and ANT+ compatible. Most wearables are either Bluetooth compatible or ANT+ compatible, but this device has both compatible. With the tons of GPS mapping capabilities, It has 16 gigabytes of storage for offline GPS mapping capabilities. Of course, you’re going to be getting mapping that is going to be topographical maps and stuff for hiking, hunting, skiing all of those kinds of maps with turn by turn navigation. 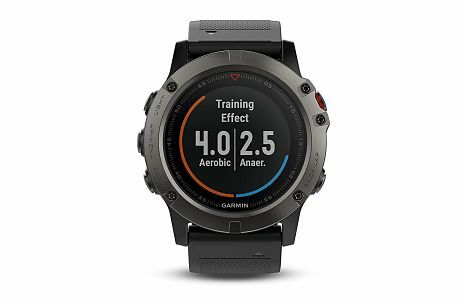 Garmin Phoenix 5X is has a large and easy to read sapphire screen display that doesn’t sacrifice battery life means the watch just in watch mode will last probably upwards of about two weeks. With the continuous using of GPS features or fitness tracking features, it can last up to 72 to 100 hours which fantastic compared to other fitness trackers. The undisputed most loved in sports watches crosses about each end goal on the planet. The ionic performance design and cheap sports watch, the Timex Ironman Classic 30 is lightweight and fixed for water resistance, and the notorious five-button design gives you guide access to all clocks, Alarms and obviously our INDIGLO® night-light. With plastic case and 14 mm thickness the watch comes with many options like chronograph with lap and split times and 99 lap counter, etc. These features will help you lot when you are in sports mode. It has 24-hour countdown timer with the ability to repeat up to 99 times. Also, customizable alarms with daily, weekday, weekend and weekly options with 5-minute back-up. 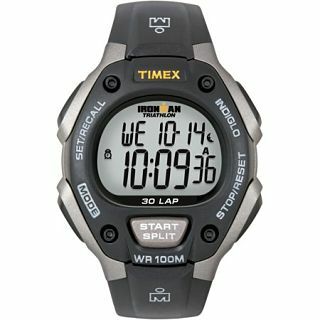 At the very cheap price around $30 of the list of best sports watches, this is a pretty good option for men and women. To begin off, maybe this watch is something that couldn’t be in your budget, but trust me on this, this is by far the best sports watches you’d ever own! 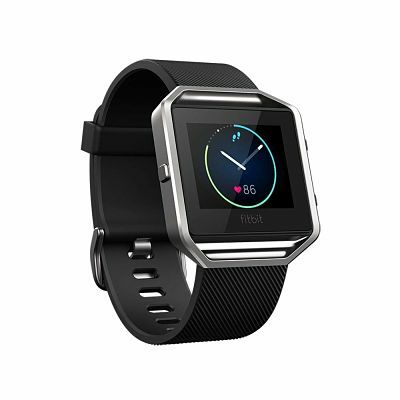 Designed and created by a very popular brand named FitBit, Fitbit Blaze smart fitness watch does not only show you the time but provides you with the facilities of being used in your entire fitness aspect. We’d suggest that this is the best watch for you. This watch helps you minimize your everyday workout within its small screen. This revolutionary device is built to track your workouts, monitor your performance stats, and gauge your progress. Garmin Forerunner 25 is built to be super intuitive, comfortable and lightweight. It has a 30% larger screen than the older forerunners. It’s pretty evident, comfortable size and the black and white display which is easily readable in all conditions. In this device, you will get ANT+ so you can pair a heart rate monitor to the watch, and it has an internal accelerometer and GPS. I mean it acts as a GPS running watch and an all-day activity and sleep tracker also women’s fitness watch. It will estimate your distance, pace, speed, calories burned heart rate data as well accurately. 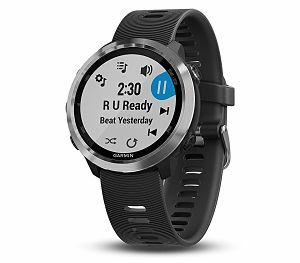 Garmin Forerunner 25 has Bluetooth 4.0 built-in, so you can wirelessly sync it to the Garmin Connect mobile app. Garmin is always making improvements to it and it’s actually one of the best mobile apps out there for fitness. It also has a pretty good battery life about 8 to 10 hours in GPS mode. Basically, all the stuff that you’d want in an activity tracker, you’ll find on this device. Polar FT7 is pretty normal sized watch with rubber straps and very durable device. It comes with 5 buttons; Select button, up and down button, back or cancel and backlight button. So you can easily navigate to the watch. This device comes with heart rate chest strap made of soft fabric material that readjusts to your body shape which is very comfortable; Requires and includes a chest strap for accurate heart rate. By this device (Sports watch), you can set your maximum heart rate, and you can set your fat burning heart rate. The basic settings like language, date and time format, heart rate metric system or all the colonial system and data which is the stored exercises you put in there. Also, you can see how many calories you have burned, and the time you’ve been working out. So basically this is a GYM based device by that you put your training and exercise in there. It connects with compatible gym equipment using Gym Link. 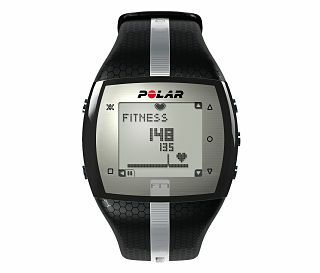 The Polar FT7 is water resistant (30m) itself also it has user changeable batteries. 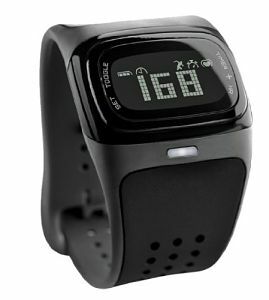 This sports watch or you can say this heart rate monitor is really worth your money. Garmin is being consistent with their branding as Garmin Phoenix 5 and the new Garmin Vivoactive 3 in terms of the aesthetics and overall look of this device. 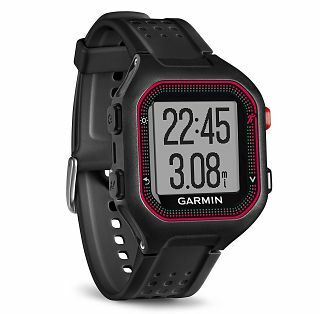 Garmin Forerunner 645 is perfect sports watch as well as the best fitness tracker. This device is not a touchscreen device but, you will get side buttons to navigate apps and menu. It has incoming call, text, and email notifications as well as other app alerts, also it has a built-in weather app. You can listen to music by connecting to your phone via Bluetooth. Garmin Forerunner 645 has built-in sensors like the GPS, the accelerometer, and the built-in heart rate sensor which is more accurate. This is the best sports watch because this device perfectly works for Swimming, GYM for exercise, for jogging and cycling as well. It tracks your swim laps when you are swimming. It counts your reps when you are exercising. Also, it measures your heart rate when running (In other words, it is the best GPS running watch), cycling and many other things. Garmin Forerunner 645 Music has a cool design and interface also you will get about five days of battery life. The rugged sort of firmness and a premium Smartwatch, the Samsung Gear S3 Frontier comes around $150 dollars. This is slightly bigger than Samsung Gear S2 in size having a 46 mm diameter that’s a 1.3-inch screen. It has Super AMOLED with Gorilla Glass sr+. It is specifically made for haptic feedback so it also has the vibration motor and you have to install the companion app of the Samsung Gear. 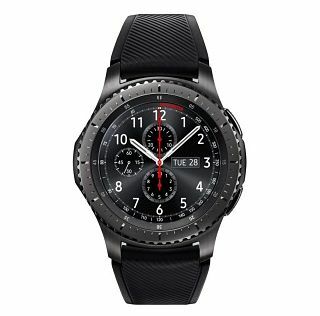 Samsung Gear S3 Frontier works with both Android and iOS devices by installing the Gear S App to your phone. With the lots of features, it also has Bluetooth 4.2 support, also has a gyroscope, heart rate monitor, barometer, altimeter, and GPS. There are two modes for battery life; The always-on mode last about one and a half days and Off mode las up to two and a half to three days of battery life. This is one of the best sports watches for men. If you are a current user of SUUNTO Ambit 1 and Ambit 2 and if you want to move to sports watch in Suunto then the Ambit 3 is just for you. 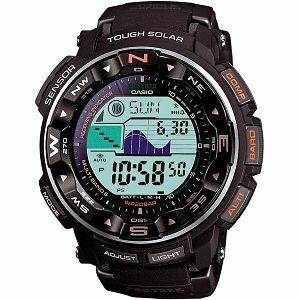 Equipped with GPS, Bluetooth and lots of other outdoor and multi-sport functions this watch is suitable for adventurous athletes and people who like to move. Bluetooth functionality allows you to connect the Ambit 3 watch to your smartphone and use the free Suunto moves count app to plan track measure and share your activity. The helpful features like calls, messages and push notifications show up on the watch. This means you can keep running, riding or hiking while keeping up to date with important notifications at a glance. You can also connect the watch wirelessly to the Suunto heart rate monitor to get even more information for your activity log. With GPS turned on it still packs 30 hours of battery life and you can turn it off for longer journeys. 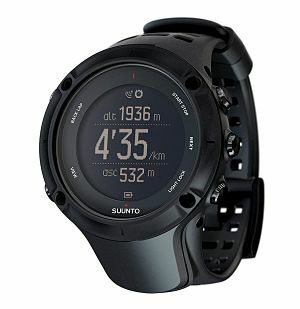 SUUNTO Ambit3 Peak is durable and tough in a range of conditions through water, snow, high altitudes, and rough drive. So if you’re looking for a fantastic multi-function watch for fitness and outdoor adventures, the Suunto Ambit 3 peak is just the watch for you. Mio Alpha is one of the best Heart Rate Monitor Sports Watches. It has a heart rate monitor built in, and it communicates over Bluetooth to your smartphone via any fitness apps. This smartwatch has LCD screen which readable in sunlight and in outdoors. There is a little LED indicator on the bottom side that will tell you when your heart rate is in your golden zone or if it drops below your normal resting heart rate or if it goes above it and you’re kind of in the red zone. It is water resistant, so you can go running with it, or you can even swim with it. The Mio Alpha offers a very high degree of sensitivity and accuracy, so this device designed for measuring your heart rate accurately in workouts. With the timekeeping function and many other useful functions, Casio Men’s Pro Trek PRW-2500R-1CR is a new generation watch than PRG 270. It has a diameter of 50.6mm analogs to log of 56.3mm and the thickness is 15 millimeters and it comes in lightweight of 80 grams. The fully feature packed watch of its era, its self-charging, self-adjusting comes with the full ABC package altimeter, barometer, compass and comes with the full range of Casio timekeeping technical team function with 31 time zones and 48 cities, five alarms, and 24-hour stopwatch a countdown timer. This is the water resistance up to 200 meters which is likely more than other wearable watches. With the highly durable and comfortable, this is one of the best sports watches for men. Here are the best sports watches for men and women which has all the functions you need. 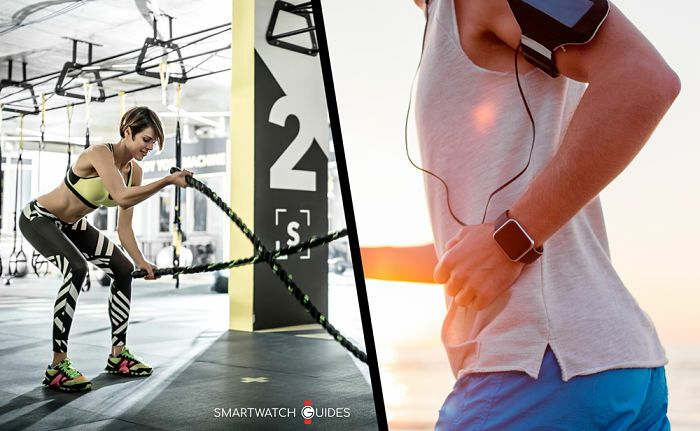 To buy the best smartwatches, some of the things you should consider like Battery life, water resistance, syncing data, replacing straps, extra features (GPS, tachymeters, chronographs, and music players etc.). If you still not finding your best smartwatch drop a comment or contact us. Our support team will find the perfect smartwatch for you.